Once considered the ultimate sign of a quality whiskey, age statements are becoming obsolete among drinkers disillusioned with rising prices, writes Colin Spoelman, co-founder and head distiller of New York’s Kings County distillery. The era of age statement dominance is over. The dominance of age statements is coming to an end. 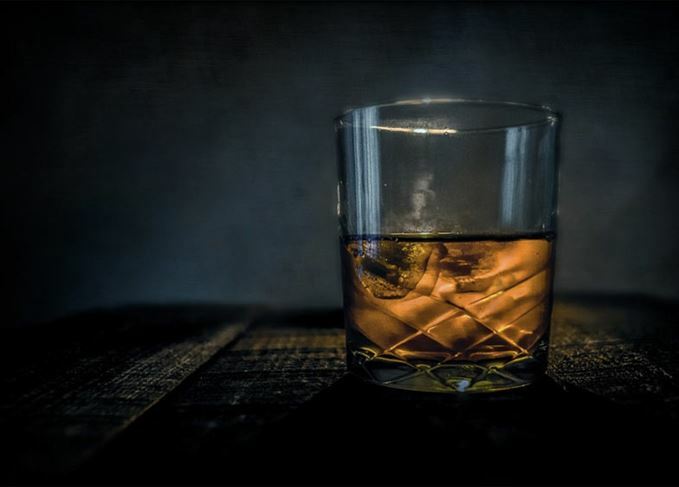 At least that’s my view of American whiskey, where a long fixation on age statements is now giving way to a perception that focus on age is the telling mark of a novice. The age obsession really started with people’s disinterest in the category before it took off in the early 2000s. This led to a lot of cheap, well-aged whiskey that people got very excited about because it was accessible and affordable. Whereas most Kentucky Bourbon and rye was in the five-to-nine-year-old range, you started seeing things that were 18 or 20 years old, which were genuinely different in a world that had become a little homogenous. Over the past decade intense interest in that speciality stuff has cultivated a slight obsession with age statements, and a feeling that age is almost the exclusive determinant of quality. It seems many people were buying whiskey by arithmetic, preferring, say, a seven-year-old to a six-year-old, regardless of other factors. Because Scotch tends to be older and has such a powerful reputation internationally, I think it may have also contributed to American whiskey drinkers dwelling inordinately on age, and perhaps conflating the age advantage on Scotch with American Bourbon and rye, not accounting for the differences in barrel and climate. There is also the impact of marketing and a general lack of deeper consumer education, and a certain romanticism where people buy older whiskeys because maybe it’s a date they want to remember. That aspect of romance is never going disappear from old whiskey. However I feel there’s been a bit of a correction to this fixation on higher age statements, which is coming from two different places. One is from craft distillers who are making younger products that hold up against older rivals in blind tastings, which are becoming more common as drinkers get deeper into whiskey connoisseurship. The other comes from consumers who really love Kentucky Bourbon and who’ve been paying exorbitant prices for older bottles. Some of them are not that good, and some buyers feel they’ve been burned a little. As those two cultural shifts play out, I think age statements will ultimately have a lesser part in the day-to-day conversation about whiskey. That said, I do think age statements are a mark of transparency that help consumers understand what they’re drinking. At Kings County distillery we put them on everything. A four-year-old whiskey doesn’t require one by law, but we’ll do it because we’re proud of it and because it differentiates us from those small distillers who don’t have whiskey that old. I believe in listing age statements and the distillery involved, and in publishing mash bills, grain sources, and as much information as possible. It makes for a more informed consumer. In a sense you have to hold two tasting philosophies in your head at the same time. You want to know everything possible about the whiskey you’re drinking, while trusting your own taste through blind tasting. It’s what I call the ‘Woody Allen conundrum’ of whiskey appreciation: there is the art (or whiskey) for its own sake, and there’s the backstory that colours and changes how you view it. It’s crucial to juggle both these ideas simultaneously to find the balance of what matters most. We don’t drink whiskey for flavour alone; it is cultural too – and that’s where things like age statements, distillery ownership and method of distillation make a difference beyond mere taste preference. By supplying details other than age, people will be less inclined to judge solely by a single number. In my experience, the most important thing in determining a whiskey’s character is the people involved and the hundreds of choices they made in bringing it into the world. Distilling or even stewarding a storied brand is really a human endeavour, and I think that gets lost when you focus only on numbers. US craft distillers are using smaller barrels which can expedite certain aspects (but not all) of maturation, while many of the big distillers have been using climate controlled warehouses for more than a century to artificially cycle the seasons, and get whiskey to market faster. A lot of those brands are very beloved, but people don’t necessarily realise that there’s more going on than just ‘Mother Nature’ and ‘Father Time.’ I think what we’re doing is pulling back the curtain on years of marketing to expose real production techniques, which are all very interesting to people and not necessarily disqualifying. However, there are plenty of US producers who are really trying to shortcut or eliminate the ageing process. They present themselves as tech-oriented companies, though their whiskeys often taste heavily of oak chips with a syrupy, artificial flavour. Some are aged using light or vibrating techniques – I don’t think anyone’s going to be too interested with that kind of short-cutting – but again, it’s up to the consumer to taste and decide what matters most to them. Since straight Bourbon has to be aged for at least two years, and Scotch for at least three, I believe distillers and consumers are protected by those rules in the US and Europe. And with four-year-old American whiskeys I feel some of the aspects of maturation that are hard to shortcut do get addressed during that time. As the focus on age diminishes, the door will be opened for more creativity, and that’s something we haven’t seen a lot of for US whiskey or Scotch. In the US, that would include different types of distillation techniques, different ingredients and barrel finishing which we haven’t done much of over here until recently. Because Bourbon has been almost exclusively distilled on conventional column stills by the big players, the mechanism of distillation is something that hasn’t really been discussed here for a long time. In fact you could say the focus on wood is actually slightly cynical because it allows distillers to de-emphasise what is the most important part of the process. With some big American distillers selling and trading barrels behind the scenes, it furthers the sense that a lot of commercial whiskey is interchangeable, rather than singular, which is another reason age stands out when so many other variables are the same bottle to bottle. There is an interesting parallel with wine where an obsession with vintage in the 1980s has evolved into more of an interest in the producer. Of course very old vintage wines command extravagant prices, but the niche audience concerned is hardly representative of the average well-informed wine consumer. I think whiskey may move in this direction, where anything very old generates a great deal of hype, but coming from the sensationalist mainstream press rather than those who write about whiskey regularly. And frankly, that’s not going to change anytime soon. But we are starting to have a clearer understanding of the difference between quality and rarity that for too long have been assumed to be synonymous. The multinational intends to produce a variety of different whiskeys with a new US production site. A movement is underway to challenge blended whiskey’s reputation as cheap bottom shelf liquor. What are whisky’s worst myths and cliches? Decades of marketing-led mythology have created many outdated Scotch whisky beliefs.